Another big thank you! The University of Calgary Medical School donated funds raised from their Med Show and Scotia Bank matched the donation. We are so thankful for your support! 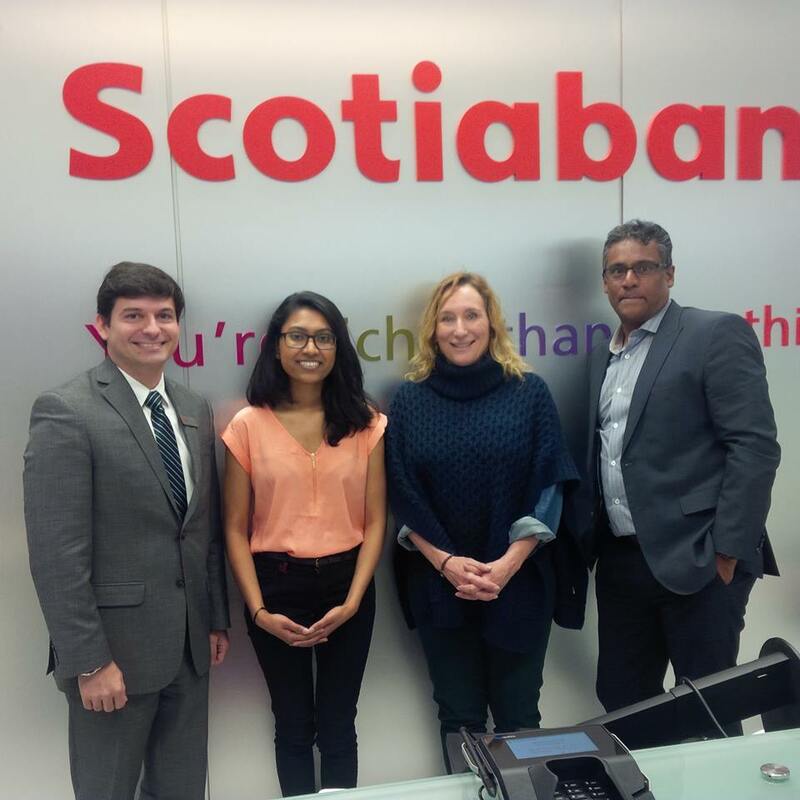 Pictured: Abdel Ali (Scotia Bank North Hill Mall location), Finola Dksouza (medical school student), Kathy Christiansen (Alpha House) and Ismael Capeda (Scotia Bank, North Hill Mall location). I give Alpha House permission to contact me via email.